Photo: Ambrose Musiyiwa of Civic Leicester. It was a privilege to be there on Saturday – to be with several hundred others who were, or had been, or simply cared about the situation of asylum seekers in this country. 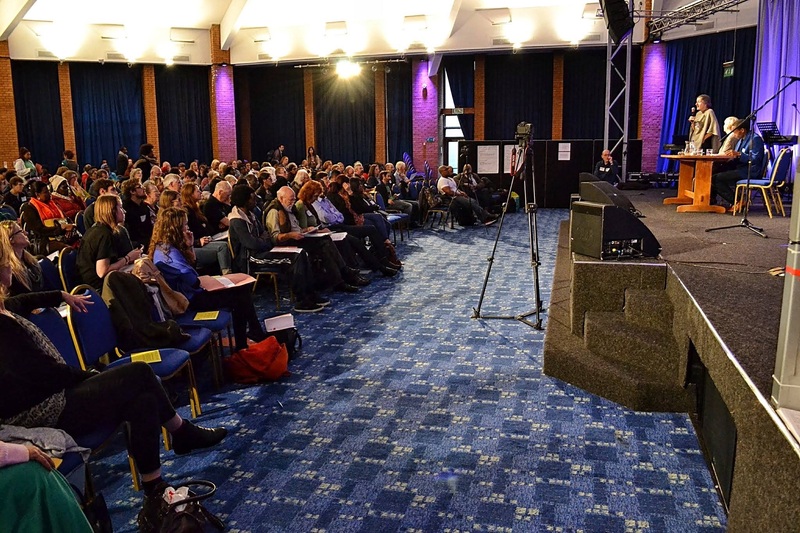 Since I became involved with supporting and speaking for asylum seekers and refugees – and especially since taking on the chair of the Churches’ Refugee Network – I’ve got used to being made angry and depressed by the political struggle in this country by all the main parties to outflank each other in the hostility they show to those coming to the UK for help. Yes, there was still quite a bit of that. But there was also the inspiration of being together with many others who equally share a better vision of what the UK can be and can do – and a few who had come all the way from the Republic of Ireland as well. And maybe even more, there was the inspiration of those who had survived the system and come out the other side as resolute campaigners for the justice they did not experience. 1. All asylum seekers, refugees and migrants should be treated with dignity and respect. 2. A fair and effective process to decide whether people need protection should be in place. 3. No one should be locked up indefinitely. 4. No one should be left sick or destitute in our society. 5. We should welcome the stranger and help them to integrate. And in case you’re wondering, no – none of these are presently or fully in place for asylum seekers and refugees in this country. I think we can do better than this, because I believe as a country we are better than this. We need to let our politicians know that that’s what we want. And a double-response is needed for Australia!